In this work I present to you a number of ways to achieve astral projection. Some techniques are standard run of the mill recommended methods by so called practitioners. Then a number of techniques that are based on the principles of the Angelic Art, which call upon the archangels to achieve astral protection and to provide protection during this state. Before we discuss the astral plane many are confused as to what Lucid Dreaming and Out of Body Experiences (OOBE) are. 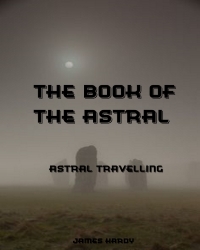 Simple they all refer to the astral travelling. Everybody, under normal circumstances everybody leaves their body when they fall asleep. The astral body normally hovers a few inches above your physical body like a floating image of yourself, mimicking the sleeping position but not leaving the proximity of you body. To be able to project you astral body you need to separate this close link where it is free to create dreams. We will discuss traditional astral projection techniques, Angelic Magick Talisman technique and Ritual Magick technique. As with all Archan eBooks, we deal with the practical application of these techniques, not grey philosophy or lengthy histories. 5.0 The Talismanic Art of the Pauline Art and the trident of Paracelsus. Time is a function of space, yet on Astral Plane we enter a reality that lies outside this, one in which the separation of past, present and future no longer exists.